Great person to work with! Found us exactly what we were looking for and helped us every step of the way! She gave us great referrals for everything we needed to get our home. Always easy to get in touch with and happy to answer any of our questions. Couldn’t be happier to work with her! Paige did her homework even before listing my property. She put a good price on the property and found a qualified buyer. She made me feel she understood the buyer’s limitations and was able to steer us in a right direction to complete a deal. Pleasant, not pushy. Knowledgeable, not arrogant. I’m very satisfied. I bought a house from Paige and the process was easy as 1.2.3. +++++++ She is also helping me sell a house soon. Very helpful and honest always goes out of her way to help find what’s best for you! 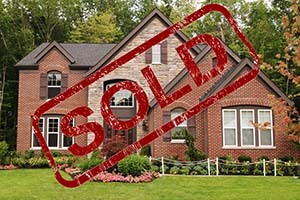 I spoke to another agency about selling my home and a suggested listing price. I wasn’t sure if their suggested price was high or low so called Paige for a second opinion. She opened my eyes and said their suggested price was way too low. She said they are just trying to make a quick sell at your expense. She walked the property and performed a market study to back up her statement. I listed my home with Paige and she had it sold within a month. She had my home sold within a couple thousand dollars of the asking price. If I had listed with the other agency I would have lost about $80k. There aren’t enough stars to rate Paige…. She is a Rock Star!!!! Paige Moore is a top-notch realtor/broker. She and her team are extremely knowledgeable, helpful and efficient in all areas of the selling and buying process. She is extremely honest and professional and her years of experience are valuable when I need advice and when negotiating any area of the real estate transaction. I wouldn’t use anyone else for any of my real estate needs and would highly recommend her to anyone. Paige was a pleasure to work with. 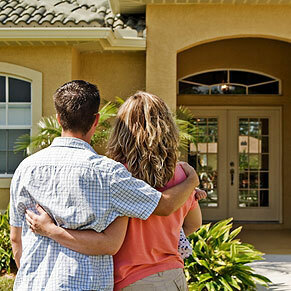 We had been looking at houses for several years, all the while our needs were ever changing as was our budget! Needless to say, I’m sure we were driving her mad! However, she never showed any signs of frustration and continued to keep us updated on the latest properties and we were able to find the perfect house for our family! Our relationship with Paige has been one that goes beyond anyones expectations! Not only does she know her markets, she is very knowledgeable on the law and makes your transaction seamless. We relocated to AL from out of state and went out of her way to make us feel welcome. She’s was not only our agent…she become family. I would absolutely recommend the Paige Moore Team!! I am an out of state licensed real estate broker and was in need of selling a property in Fairhope. A friend recommended Paige Moore to me and I was very impressed with her professionalism, diligence, good judgement and advice. Paige Moore is a highly skilled professional and employs all the digital media for promotion and marketing, which also allowed me to close the property quickly when I wasn’t able to be there. I found Paige to be very honest and hard-working. So, she earned my respect and her commission for a job very well done. I will recommend that you discuss your real estate issues with her and let her work for your best interests too. Best of luck. Not only is Paige Moore so personable, finding common ground with probably everyone she speaks and works with, she is quite knowledgeable of her field and extremely professional. She has worked hard to provide a knowledge base to her clients that is very impressive. I recommend Paige Moore’s entire responsive team to anyone who wants to get ahead in the real estate of southern Alabama. I would recommend Paige to anyone buying or selling. We had a great experience! Paige’s knowledge made the process of selling easy. She did a great job during the negotiation process looking out for our best interests. Our experience with Paige Moore couldn’t have been better! We had expected it to take 6+ months to sell our house but thanks to the detailed advice Paige gave us on how to make our home more marketable, it sold in less than two weeks and at a price above the list price! She is professional and extremely knowledgeable of the industry. We will definitely use Paige again! Paige sold our house before it was even listed!!! Fantastic!!! Can’t get any better than that. Completely professional and a pleasure to work with!! Thank you!! I had an excellent experience working with Elsa and Paige! They have an incredible knowledge of the area! They learned early on what my husband and I were looking for in a house, and ultimately found us our dream home. I couldn’t be happier! We listed our house with Paige in Fairhope in the summer of 2010 – the “bottom” for home sales in many years! I had approximately $750,000 – $800,000 invested in the home and was not “pressed” to sell (except by a spouse who wanted to relocate!) Paige initially suggested a “realistic” listing might be $750,000 – $800,000, but like many other owners, I initially listed at a higher price! After several months of “low interest”, we lowered the “asked” price to $800,000. Then, after several additional months of “low interest”, we received an offer for $600,000 – which I considered an “insult”, and advised Paige to “blow him off”! However, Paige calmed me down and advised that we “counter offer” at a price “slightly less” than my asking price. In the interim she “collected” additional information on the perspective buyer, his “interest level”, financial conditions, and other relevant information. A counter offer” of $700,000 was made, and I again felt “insulted”, BUT Paige cautioned that this was probably the “best” I could expect in the foreseeable market. I decided to accept the offer – thinking that I might be able to make up the “loss” in the Charlotte, NC, area where we were planning to move. And, we were able to purchase a very nice home in Charlotte for a “great price” ! As I have followed the real estate market in Fairhope since, I probably would have not been able to get that price – even to today! In choosing to list our home with Paige, I had discussions with several “potential” agents, BUT several friends had advised that I contact Paige Moore. I was very impressed with Paige’s business demeanor as well as her personality. She was very honest in her advice to me throughout the entire “selling process” – including advising when my expectations and desires were probably UNREALISTIC. However, she LISTENED to my thoughts and rationale, and openly discussed options – AND advised of the practicality and possibilities of each option! I have been contacted by several folks in the Fairhope area since our move in 2011, asking about out selling experiences, and I have advised each person to contact Paige Moore. 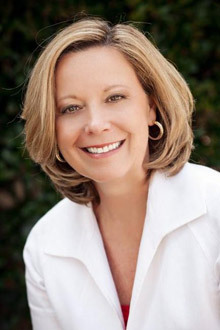 I have the highest regard for her professional abilities and conduct and will continue to recommend her to anyone – whether selling or buying – associated with real estate properties in the Fairhope area.